Last weekend we traveled to Shreveport to see my parents’ new house. They recently moved into a smaller patio home and this was our first opportunity to see it. We met my grandparents and Aunt Marci in Lindale on Friday night and then headed over to Shreveport on Saturday morning. Since we were all together, we celebrated my birthday a few days early. Jennifer amazingly smuggled my gift, an acoustic guitar, all the way from Houston. I didn’t even know she had hidden it in the truck while we were driving. We had a good time spending time with my family, it was one of the reasons we decided to move back to Texas so that we could visit more often. Since I had received a guitar and I haven’t played an instrument since sixth grade, I signed up for lessons. Starting on Tuesday, I’m going to have weekly lessons at Smack Guitars in Missouri City. 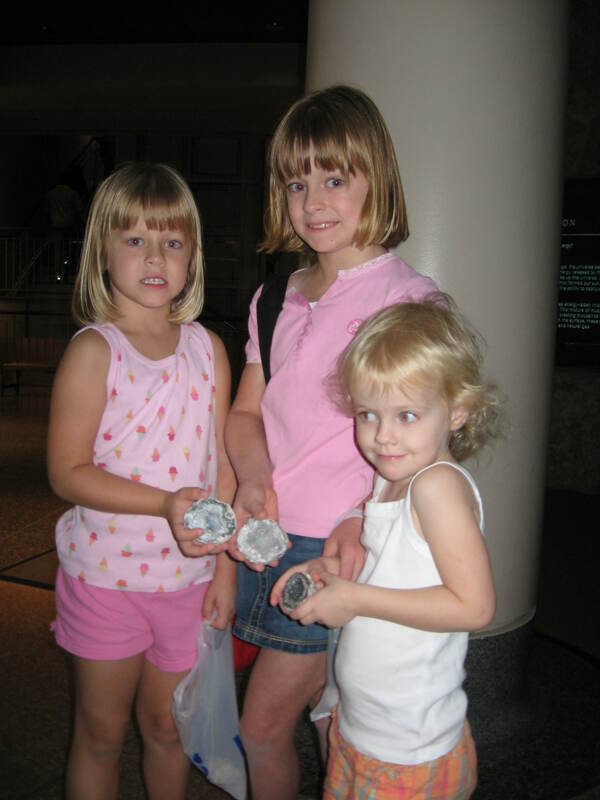 On Friday, Jennifer took the girls to Geopalooza at the Houston Museum of Natural Science. Abby has shown an interest in geology recently and so, we thought this would be something she would want to go see. They looked at all different kinds of rocks and got their very own geodes at the end. They also explored the Butterfly Center and had a great time. 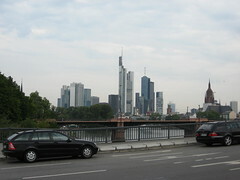 On Tuesday, I headed overseas on a business trip to Frankfurt, Germany. I can’t tell the details of the reason for the trip, but we were heading over there for a potential new project and we had to meet with another video game developer. The trip was 12 hours of flying: 4 hours to New Jersey and then 8 hours to Frankfurt. This was the first time I had gone to Europe. The biggest thing I took away was that next time I’m going to do a little work learning a little bit of the language. Even though most people spoke a little English, it would have helped to know “Yes”, “No”, “Hello”, “Goodbye”, and number 1 – 10. The time difference between Houston and Frankfurt was seven hours. On the 4th of July, we woke up at 8:00 a.m. Frankfurt time, which is 1:00 a.m. Houston time and headed to the airport for the flight back. I saw sun light for 20 hours. It was a long flight and needless to say, I pretty much collapsed when I got home. For the 4th of July Abby and Emily went with Jennifer’s mom over to Pearland High School where they had a carnival and fireworks show. They got temporary tattoos and sat on the football field and watched fireworks. They didn’t get home until 11:00 p.m. and needless to say I was already sleeping so I didn’t see them until the morning.